It has been a while since I last posted but sometimes life is busy and recently I just haven’t had time to blog. However, I have not stopped cooking and I have plenty of recipes up my sleeve to share with you all! 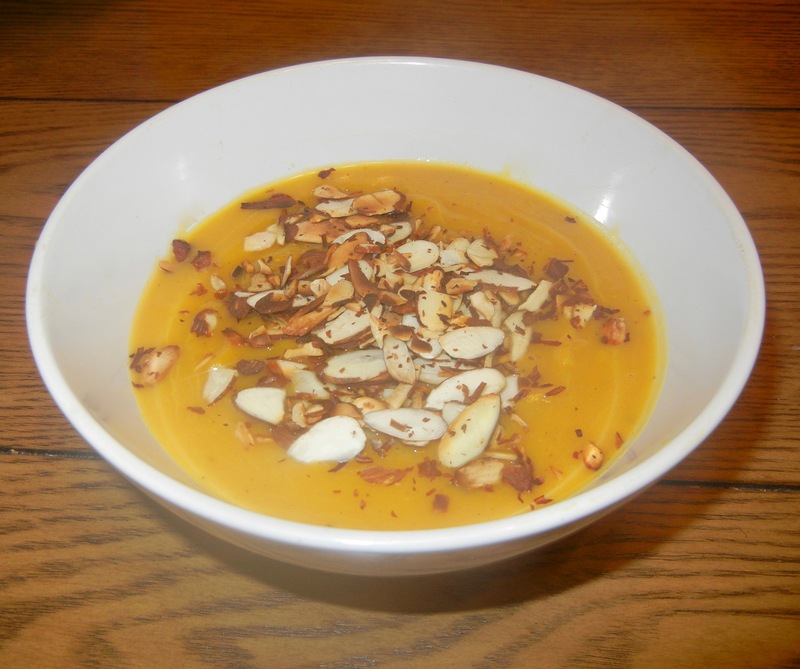 To start off, I wanted to bring you a seasonal recipe, butternut squash soup! This is a lighter take on the beloved classic that it super easy to make and something all will enjoy. Preheat the oven to 425 degrees Fahrenheit and line a rimmed baking sheet with parchment paper. Cut your butternut squash in half and use a spoon to remove the seeds. Spray each side of the butternut squash with olive or coconut oil and sprinkle with salt and pepper. Place your the squash face side down on your lined baking sheet and place in the oven for 45 to 55 minutes, until brown and caramelized. Remove squash from the oven and allow to cool, still keeping it face side down. While the butternut cools, place a teaspoon of olive or coconut oil in a sauté pan and heat to medium heat. Dice 1/3 medium white onion and place into the sauté pan. Once onion softens, place the minced garlic cloves in the pan and allow to sauté with onions for an additional minute. Turn off heat and once slightly cooled, place this onion garlic mixture into your blender. Now that the butternut is cooled, using a spoon scrape the insides into the blender as well. 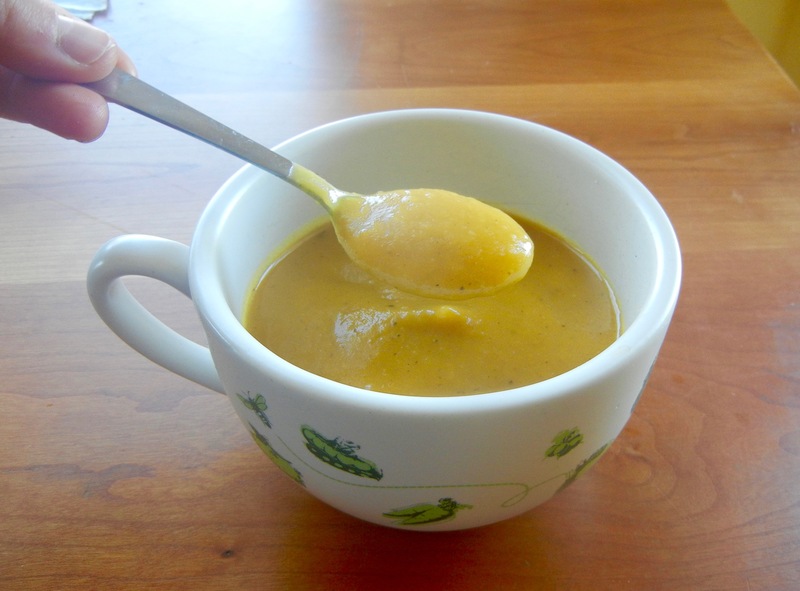 Begin by adding 2 cups of vegetable stock and a half cup of milk of choice in the blender along with all the spices, maple syrup and tablespoon of butter/oil. Puree the mixture until smooth. To achieve desired thick/thinness optionally add more vegetable broth and or milk. Season with salt and pepper to taste. Enjoy on its own or sprinkle with breadcrumbs or toasted nuts for a heartier dish. One of my favorite items at the Whole Foods salad bar is the balsamic mushrooms. The simple flavor combo gave me the inspiration to make my own super quick mushroom side dish. What’s great about this recipe is it only takes minutes to make but has rich flavor without all the added oil. Spray a pan with coconut or olive oil and place minced garlic in the pan. Stir around for a minute to lightly sauté the garlic. Add in the sliced mushrooms. Stir the mushrooms around frequently and add in your veggie broth/water so mushrooms begin to sizzle. Allow mushrooms to cook for an additional minute and then drizzle on the balsamic vinegar along with the onion powder and black pepper. 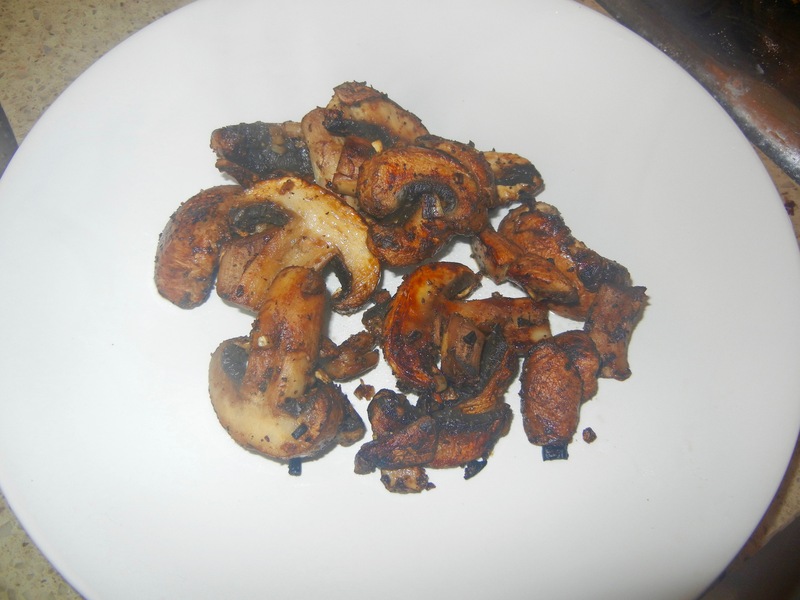 Mix around mushrooms thoroughly so they are evenly coated by the balsamic vinegar. 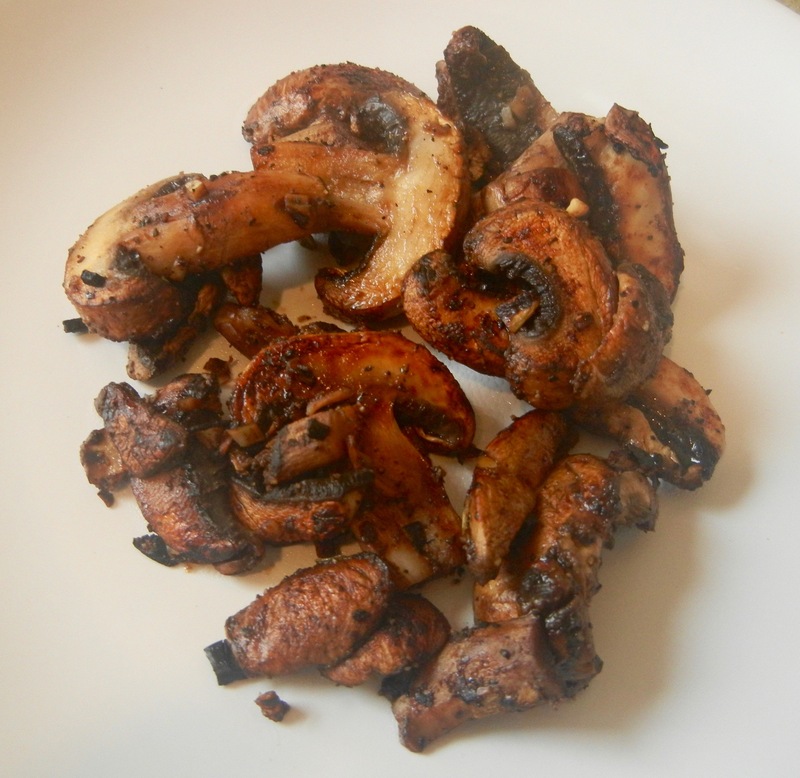 Once mushrooms achieve a browned color with golden edges, they are complete. 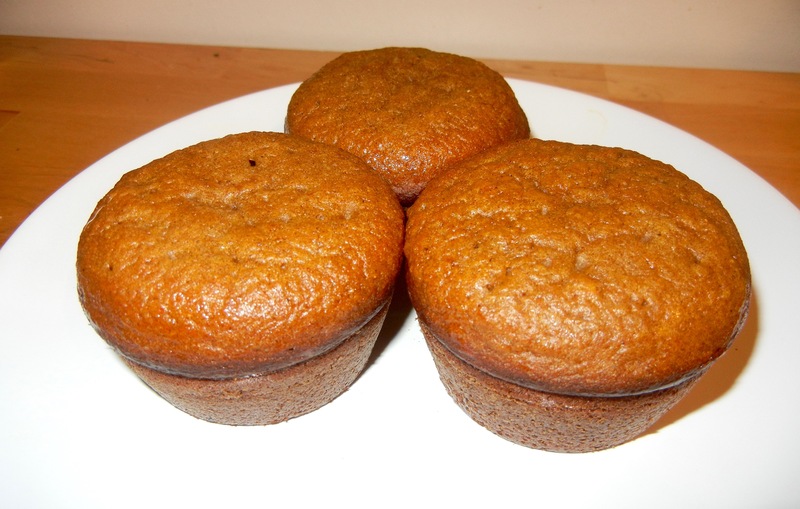 With Halloween tomorrow, I thought I would step up my pumpkin game and create some yummy muffins. Nothing screams this holiday’s signature flavors more than pumpkin, and fortunately for all of us, pumpkin is actually good for you! Low in calories and high in vitamin A and fiber, it can be added to a variety of both savory and sweet dishes. You could even use this recipe to create a loaf or a cake. Just adjust baking time accordingly. 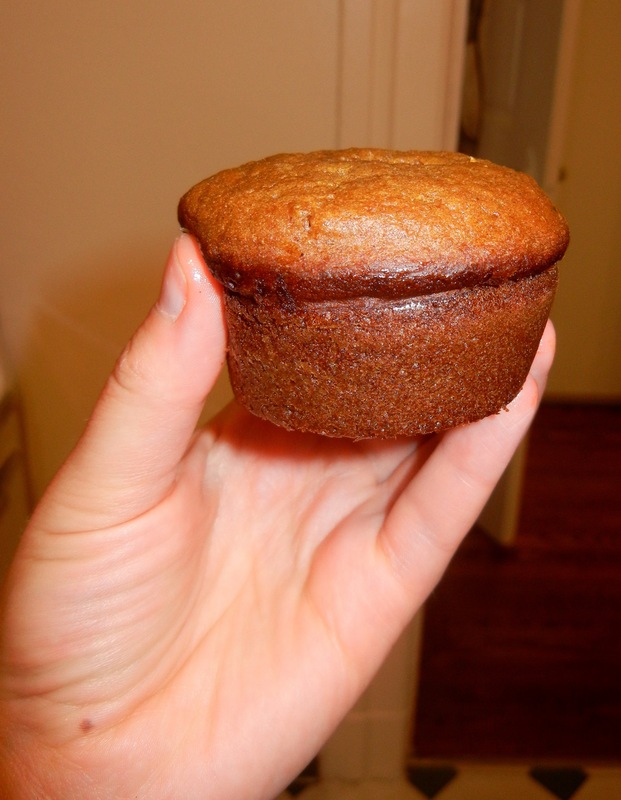 Oh and each muffin is only 100 calories but packs 5 grams of protein with only 11 carbs, three of which are fiber, making this muffin perfect for any time of the day. Have it for breakfast, a snack, dessert, or even served with lunch/dinner in place of cornbread in your meal. Preheat your oven to 350 degrees and grease a loaf pan with coconut oil. In a large bowl, whisk together the almond flour, coconut flour, baking soda, baking powder, pumpkin pie spice, stevia, and salt. 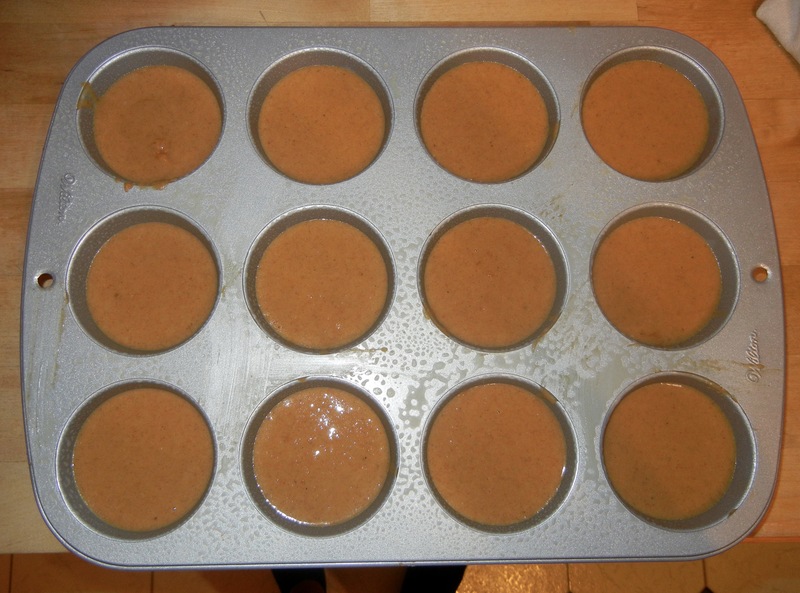 Pour the batter into a muffin tin to create 12 individual muffins. 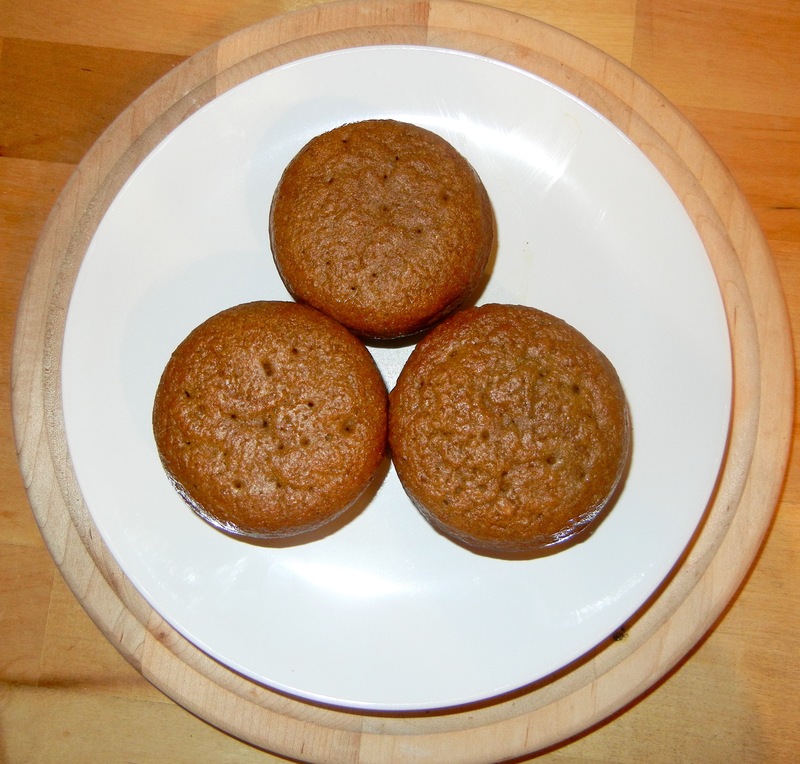 Once removing muffins from the oven, let it sit until cool before removing from pan and slicing. To create a delicious yet healthy protein frosting, combine a tablespoon of plain/vanilla Greek yogurt with a touch of honey and a dash of cinnamon. This will create enough frosting for 1 muffin so multiply accordingly!